PICKING THE RIGHT FLATWARE FOR YOUR RESTAURANT - There are a number of things to think about when buying silverware or flatware for a restaurant. A good set of silverware can last a restaurant for years, while a poor set may cost you more because they do not last for a long time and you need to replace them. 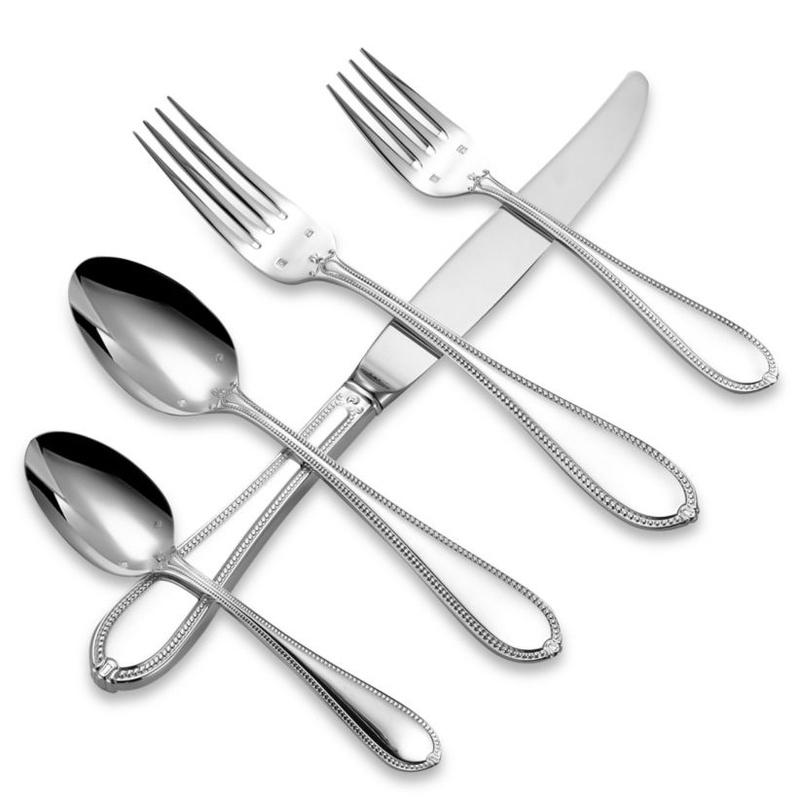 When selecting restaurant silverware, make sure you order them in a matching pattern. This includes a full array of fork and spoon sizes along with knives and service flatware such as serving spoons and cake knives. Gator Chef supplies all kinds of patterns under various weight such as : Continental, Oxford, Shangari-La, Victoria Pattern, Dominion and more! Flatware weight is often a matter of personal preference, but the weight of restaurant flatware is also a good indicator of quality. Lighter utensils are frequently less expensive, though these utensils will likely become bent and misshapen over time. Contrastingly, heavier flatware is more expensive, although these utensils will last for a longer period of time. Shop our selection of restaurant silverware for the perfect spoons, forks and knives to add to your restaurant dining supplies. From premium spoons to economic forks, you'll find plenty of elegant silver-plate and stainless steel flatware, dinner forks and dinner knives at Gator Chef.